President and CEO of Daly Consulting, Linley Daly is a consultant, professional coach, speaker, and philanthropy leader. With more than 20 years experience in raising capital, endowment and operational funds, she supports nonprofits and their leaders through energizing coaching, strategic planning expertise. Linley has also served the Association of Fundraising Professionals in many capacities, including President of AFP, New Mexico Chapter in 2015 and as a two-term member of the AFP International Committee for Membership/Chapter Services. In 2016, Linley was named Outstanding Fundraising Executive. Revathi A-Davidson, MA (Vanderbilt University); MPH (University of North Carolina at Chapel Hill) is a retired healthcare and hospital administrator who had a long career at Presbyterian Healthcare Services in Albuquerque where her leadership positions included the Oncology Program, Home HealthCare and Hospice Services, the Medicine Program (Adult Hospitalist and Intensivist Services), and Kaseman Presbyterian Hospital and Campus. In retirement, she is involved with healthcare decision making and end of life care planning initiatives and also works as a volunteer Spanish to English translator for domestic violence victims. Joanna is a community and social engagement professional with over ten years’ experience in corporate philanthropy/grantmaking, fundraising, grant-writing, cause-related marketing, strategic planning and nonprofit organizational development. Joanna is part of the Philanthropic Services team and manages the Albuquerque Community Foundation’s (ACF) grantmaking, including the Competitive Grant Program, donor-advised grants and special grant programs. With a focus on community outreach, Joanna also builds relationships with fellow funders to ensure that ACF is working collaboratively with partners in the community and exploring innovative funding initiatives to support Albuquerque. Joanna serves as an ex officio Advisory Board member because of ACF's and UWCNM's shared interest in CNPE since 2005. Greg Holt is an engineering group leader at Intel Corporation. For 14 years Greg was driving change on leading edge technologies at Intel's New Mexico site, working in development at Intel's California Technology site, and assisting in new technology startup at Intel's Ireland site. For several years he served on the Intel New Mexico United Way campaign as a data analyst and Alexis de Tocqueville campaign manager. Greg has also served on the United Way of Central New Mexico Community Fund panel as the Intel representative. Greg is a native New Mexican with a a BS in Mechanical Engineering from New Mexico State University. He is an active community volunteer who performs automotive repair for single mothers and the elderly at Sagebrush Community Church. Greg enjoys spending time outdoors with his wife and two children. 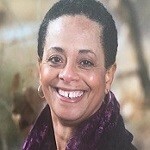 Leslie Neal, a 30-year veteran of the banking industry, is currently Vice President of the Community Affairs Division of US Bank. She also owned Neal & Associates, a company that provided consulting services to financial institutions in the areas of regulatory compliance management, community development, project management and policy and procedure development. In addition to her experience in the corporate sector, she served as executive director of the Girl Scouts of Chaparral Council, Inc. and development director of the Albuquerque Museum Foundation. Leslie has been an active community volunteer in New Mexico, serving on a number of nonprofit boards including the Junior League of Albuquerque, Enterprise Foundation (Santa Fe), and YWCA of the Middle Rio Grande, WESST, and Presbyterian Healthcare Foundation. Terra joined the Community Foundation of Southern New Mexico team in June 2017 as the Executive Director. Recently, she served as the Associated Vice President for Development at the New Mexico State University Foundation in which she was involved in the campuses most ambitious campaign to raise $125 million. As a lifelong New Mexico resident, Terra is passionate about nonprofit work throughout the state. Her professional background includes ten years with Mesilla Valley Hospice where she served the organization in many facets of community outreach, education, fundraising and board development. She has volunteered for multiple organizations including the Greater Las Cruces Chamber of Commerce and the Junior League of Las Cruces. Terra obtained a Bachelor of Arts in Communication Studies, minoring in Health Sciences, a Master of Public Health and a PhD from NMSU with an emphasis in philanthropy, nonprofit management and leadership.